A couple of weeks ago, B’s sister and I had been at her twins’ baseball game on a gorgeous early summer evening and as we walked home from the school, we realized we were both absolutely ravenous. Luckily for us both, I had a stash of Dr. Oetker Ristorante pizzas in the freezer so we came home and tossed one in the oven. 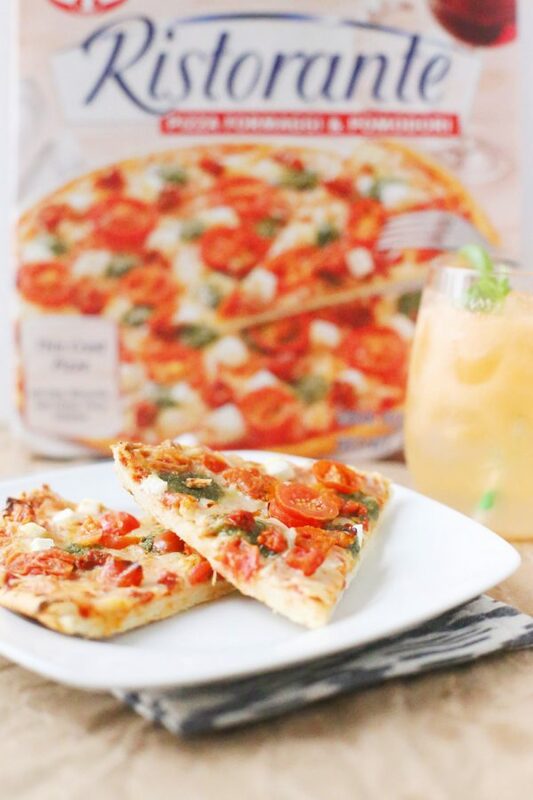 When the folks at Dr. Oetker tapped me to share a whole bunch of recipes and entertaining ideas with you throughout the year, I was pretty excited, because you all know I’m a massive fan of pizza. But that post-game meal sealed the deal for me. As a bit of a self-proclaimed pizza snob, I’m happy to report that the gourmet toppings and crispy crust of this pizza is going to make it a mainstay in our household from now on. It is seriously delicious! 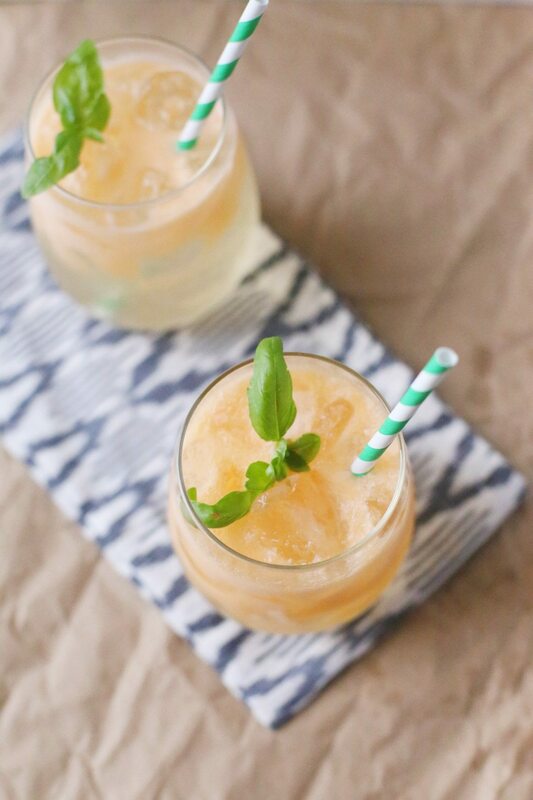 Today I’m sharing this melon basil white wine spritzer recipe with you! 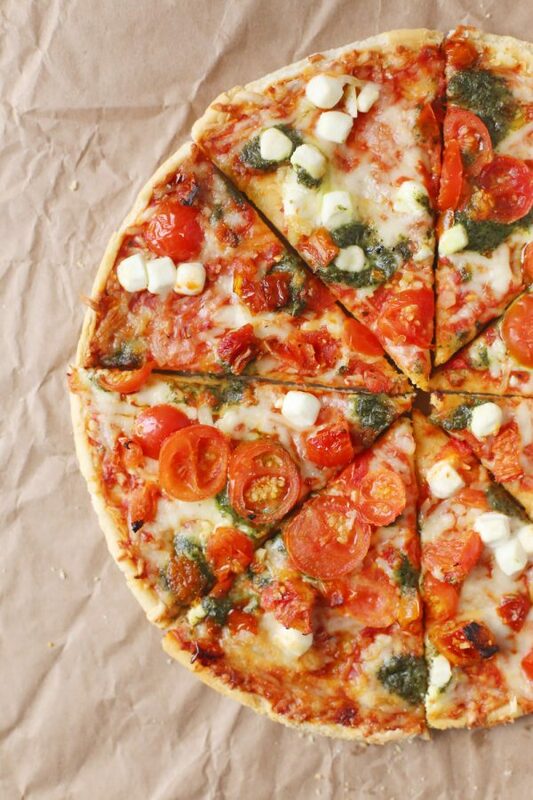 It’s the perfect pairing with Dr. Oetker’s Formaggi & Pomodori frozen pizza. 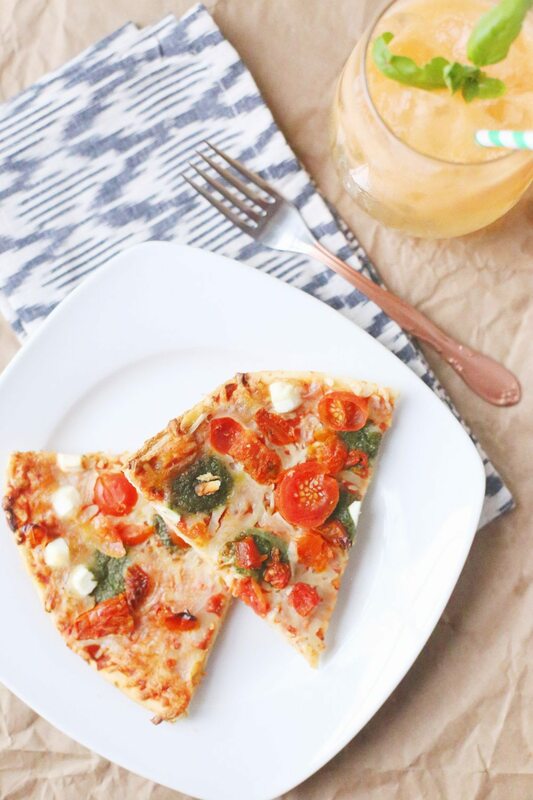 Bake up a pizza, mix up a couple of drinks, add a little side salad with loads of fresh produce, and you have the perfect meal for two on a summer evening. Whether it’s your sister in-law who lives next door (like me) or your friend who happens to pop over and ends up staying for dinner, this is casual summer entertaining at it’s best and easiest. 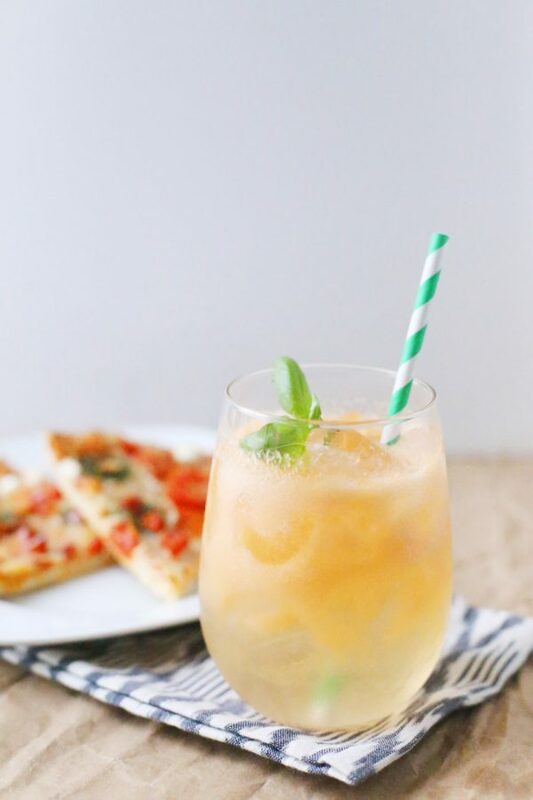 The melon and basil flavors are heavenly with the goat cheese on this pizza, and it’s a super refreshing drink for a hot summer night. Begin by chunking up a fresh melon and blending it until smooth in a blender or food processor. I like to add a couple of tablespoons of water to thin out the puree a bit. Then, combine the melon puree, sauvignon blanc and basil leaves in a cocktail shaker full of ice. 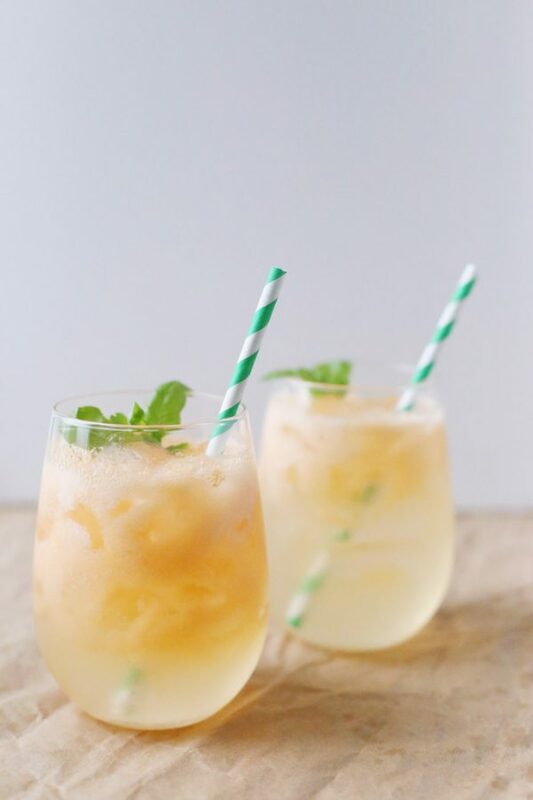 Shake until nice and cold, then strain over a glass full of ice. 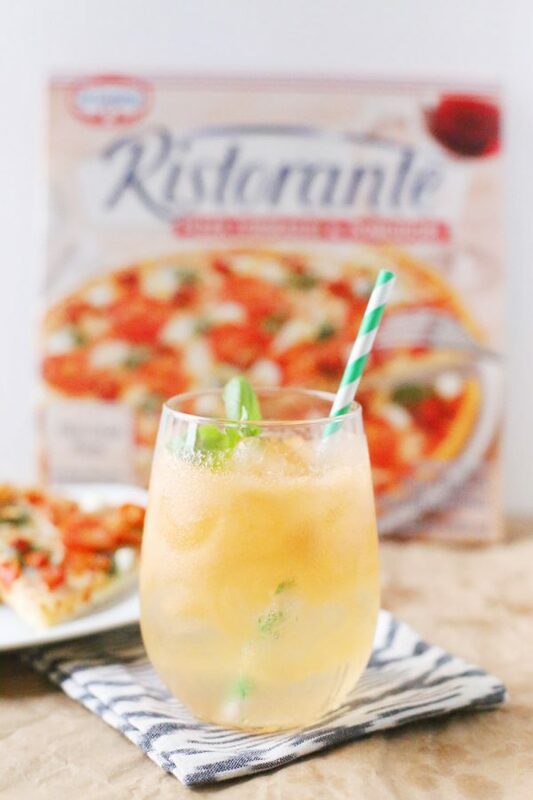 Top with soda, stir gently and garnish with basil. 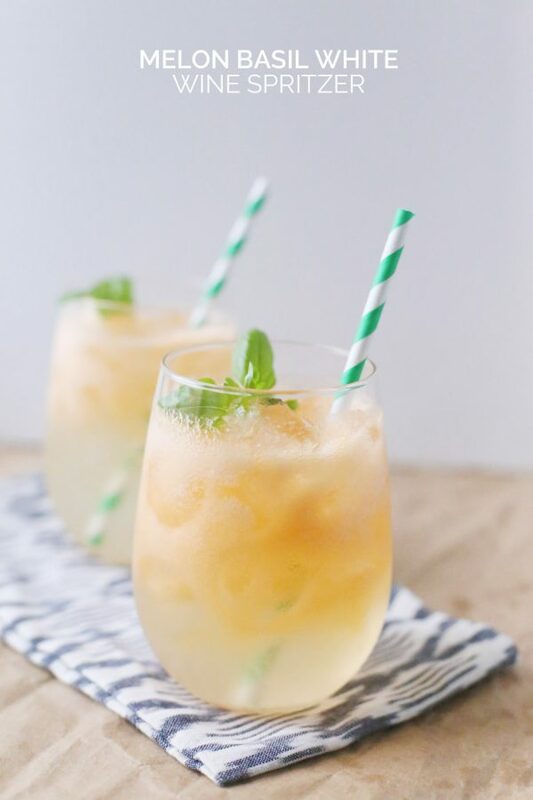 Serve icy cold and enjoy! And there you have my new favorite drink for summer! (Yes, I realize I crown a new favorite just about daily. Oops!) 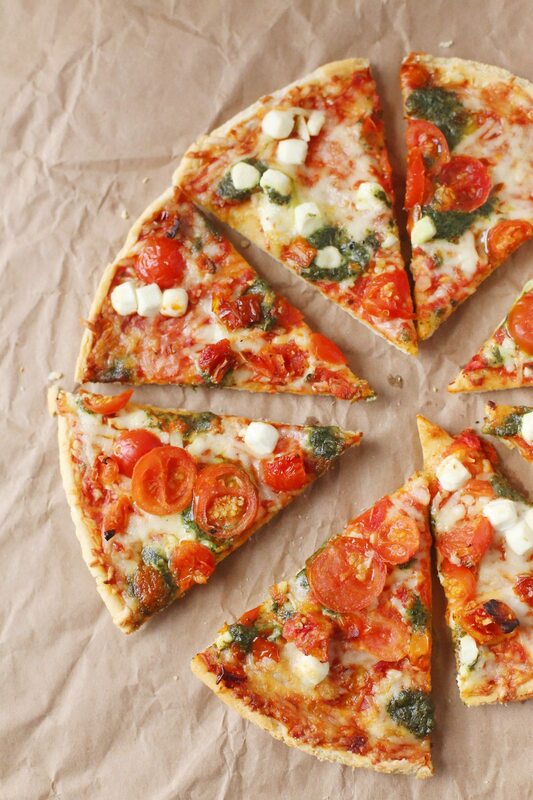 For more inspiration, recipes, and entertaining ideas, be sure to follow Dr. Oetker on Facebook! This post was sponsored byDr. Oetker Ristorante. Read more about our editorial policies.